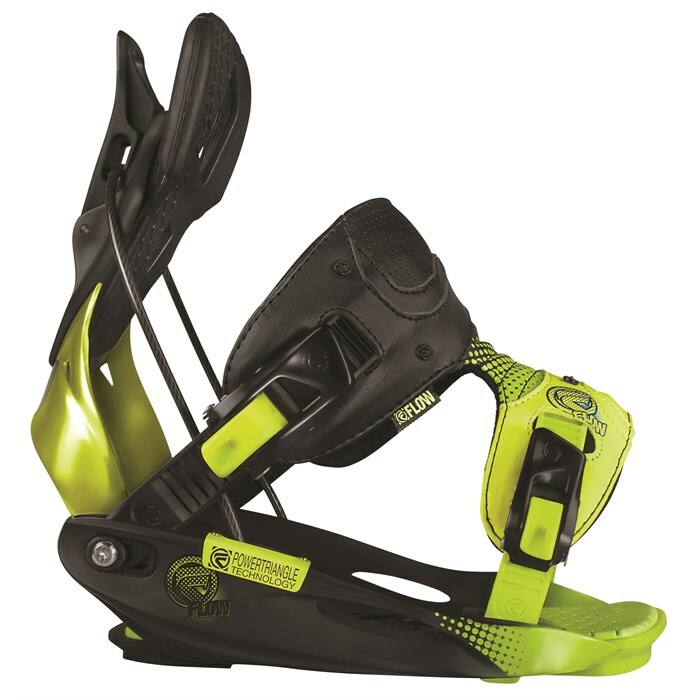 With it's sleek-as-a-bullet design the Flow M9 Snowboard Binding keeps all mountain riding at the forefront. Like the M9 pistol the Flow M9 snowboard binding is perfect for all situations. Whether you're battling sketchy chutes or crackin' down on rogue kickers, the M9 is sure to outmaneuver any terrain. The I-Fusion PowerStrap keeps your boot secure with a 3D shape to fuse the ankle and toe zones to the baseplate without causing pressure points. Become an army of one with the Flow M9 binding and take out any guerrilla-fighter inspired snow obstacle. Rockered Baseplate  Engineered to transfer your power directly to the board without losing response time by minimizing contact area with the board - this also allows your board to have maximum flex. LSR-Buckles  LockingSlapRatchet-buckles give you the ability to make on-the-fly adjustments with the large ratchet-levers and enable you to easily go in and out in seconds.